Total Fishing Gear bait range formulated with Matt Hayes and available now. Welcome to the Future Baits news page. Here we will keep you informed about new and existing products, shows we will be attending, who's catching what and sometimes from where, plus any useful tips that may help put a few fish on the bank. Rolling has been hectic this year, we've already sailed past the 100 ton mark and are getting busier every week. I'm over the moon with the high quality respected companies using our services this year and would like to direct you to their websites to find out about the baits they supply. We offer many services to the Uk and international bait industry from contract rolling, shelflife options, pop up production and particle supply and preparation, right through to finished bait design and supply of custom mixes. no time to go home to sleep !! 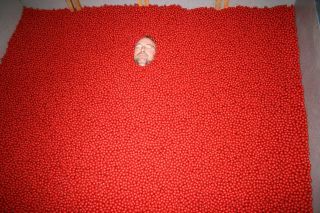 1250kg of strawberry 18mm's are really comfy !!! As you can see we work with quite a lineup of companies that put quality first, and this is essential in the current climate. Too many people think they can put cheap rubbish in a bag and expect you to buy it!! and they even kid themselves that fish will eat it more than once. Don't get me wrong, an ok bait can be made on a budget but it should be sold as such. When budget baits end up with £12.00 a kilo price tag it really annoys me, as it detracts from genuinely good baits that have to cost that amount, or more, to reflect the quality ingredients, attractors and flavours. I'm sorry but bargain basement rip off bait companies don't interest me, I like catching healthy large carp so I feel a large degree of responsability to the fish that eat baits I have made. I caught a new UK pb off the top! not bad as I've only managed 5 hours fishing this year!! 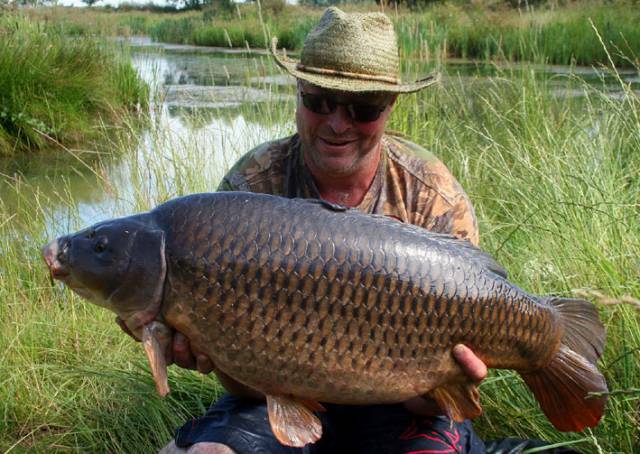 34.12 common on a homemade soft floater pellet soaked in l030. 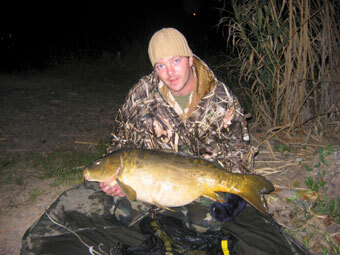 2 * 60lb carp landed on our baits in the same day, and 6 over 50lb !!! Welcome to 2008 and a new direction for Future baits. Only one thing can describe what we've done - Massive Expansion - towards the end of last year I bought out my partner, Tim, and gained full ownership of the company. Since then we moved into a brand new industrial building and have turned it into a bait factory to be proud of. This year I will be rolling between 120 and 150 tons of boilies, plus the pop ups and pva friendly range. We no longer sell any bait to the UK retail shops, instead I concentrate on rolling for both established and up and coming bait companies. This has shaped the factory into a bulk production facility where we produce basemixes by the ton, roll dumbell, 15mm, 18mm & 21mm baits in 750kg batches in both freezer and shelf life. The pop up rolling ability is second to none. I've designed a pop up mix that not only goes through the machines but is one of the most bouyant available. No expense is spared on this mix - only New Zealand milk products are used - Lactalbumen, Calcium Casienate and whey protien concentrate, along with food grade soya isolate and egg albumen. This mix would have incredible levels of attraction without anything else added, but once they are PH balanced and contain the liquid attrators you have a very high quality hookbait. If we spend a week on pop ups we produce a ton of finished dried baits, something we'll be doing about 5 times this year. Whats new? on the research and development front I never can afford to sit still so every year I invest a fixed percentage of our turnover on developing new products. As the company grows it means I can spend more on developing new products and this year circumstances have allowed me to begin a new long term food bait recipe. The way the market place is going there is real demand for baits that are not compromised in quality in order to hit a price-point. What I mean is a bait selling for £7.99 is unlikely to have as many high quality ingredients in it as a bait that sells for £11.99. 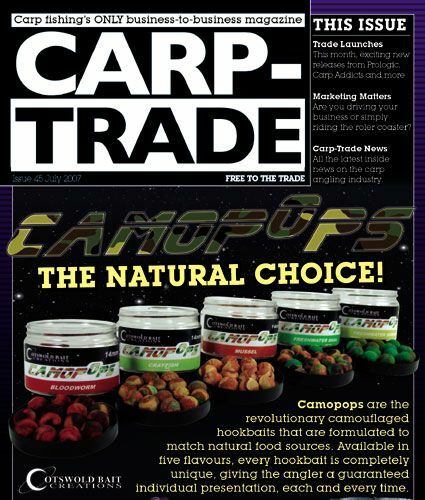 There is a huge percentage of the UK carp angling fraternity that want or expect cheap bait, (and i mean £5 or less), and there are companies out there that produce baits and seem happy selling it at this price. What the anglers need to realise - but don't, is that the bait is cheap for a reason - there is nothing much worth eating in it. You need to weigh up the whole picture before deciding on a bait. Baits like this do catch fish, occassionally, but only when the fish are in a hanging themselves mood, and I find it amazing that the average angler has spent thousands on tackle, quite often £30-£40 a weekend on fishery tickets and still want cheap, bargain basement bait ! 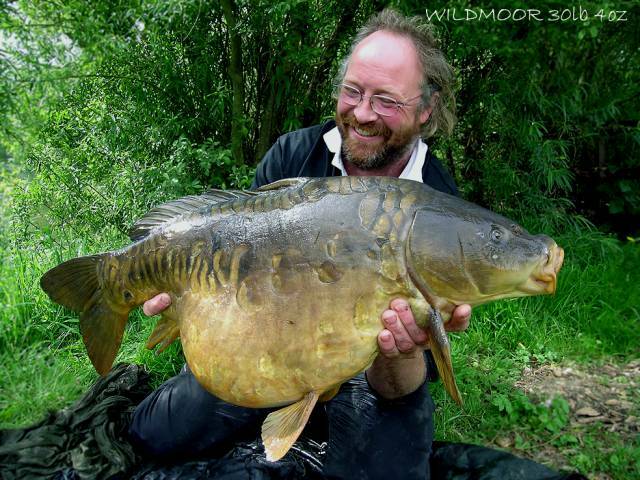 The only thing that will give you a hope of catching sensible numbers of fish a year is using a bait they are more than happy to eat all year round. If your bait contains minimal digestable protien the fish will soon stop feeding on it hard enough to actually hook themselves, they are instinctive creatures and instict tells them when something is no good, dangerous or absolutely impossible to ignore - fish that start troughing the bottom in search of every last morsel are the ones you catch the easiest. The plan for 2008 has been made and a new foodbait is off the drawing board and into the rollers. The 'ELEMENT' is a bait designed to be used for 2 seasons or more, it will dominate catches (I hope!) and it will catch a higher percentage of large fish if applied properly. This is old school bait theory with new school technology and it will be interesting to see what happens this year and next. The bait is only at the Mk1 stage and will probably end up at about Mk4 or 5 as little tweaks, additions and subtractions will go towards making a boily that will be holding it's own in 2010 and beyond. If it works you will read it here, if it doesn't I'm still going to detail its evolution here until the finished bait is ready for release. I'm using Ashmead as my test venue and a few friends are putting it through its paces on their chosen waters. At the moment the bait is not openly available but it will be made available to a strictly limited number of anglers to continue the testing. If it seems up your street pop in and have a chat, as long as none of the other users are using it your venue. Just to clarify this is a bait that needs applying properly. It will catch from the start but results will get better as the months go by so if you like to chop and change this isn't for you. Initially the 'Element' is available to personal callers at the factory only, if you want a kilo to try it is £10.00 and from then on it is in 10kg batches at £90.00. This is a limited offer to a small group of anglers to complete the field testing trials and I will limit it to one angler (or pair) per venue so you have the bait to yourself for a season or two. Here you can see a selection of the basemix ingredients that go to make up the Element - This complicated little pile goes a long way to providing a full and balanced diet for carp, each ingredient is included to balance the nutritional deficiencies found in its neighbour. 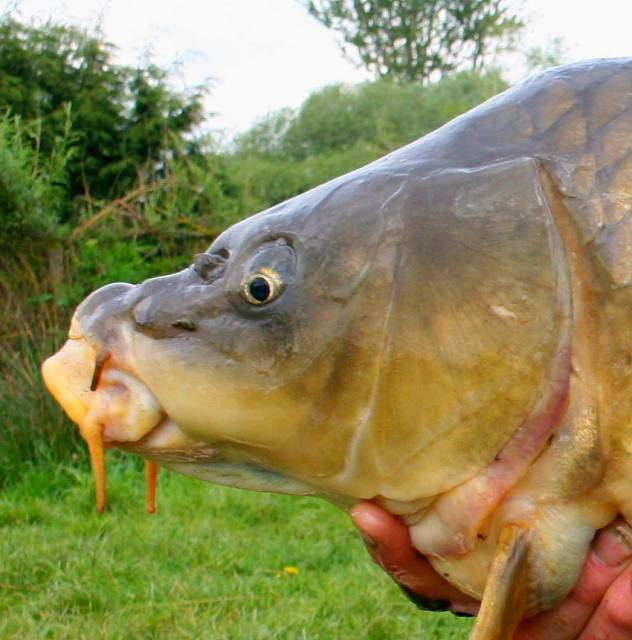 I read the other day about an egg free bait that is claimed to be more digestable for carp - it is a shame that the statements were not more informing, as there is a chance the claims could be very wrong due to the baits in question containing high levels of marine protiens. Carp require certain percentages of key amino acids in their diet and all marine protien sources (fishmeal, shellfish meal, fish, real shellfish etc) are deficient in one or more of these essential aminos. This is technically known as the 'limiting amino' and it results in the bait having a digestability in direct proportion to the percentage of the essential aminos contained within the complete recipe. ie;If your recipe only contains 50% of the reqired lysine it will only be 50% digestable, even if every other amino is supplied at higher levels. The remaining percentage of the entire bait is basically undigestable -it will either be passed as undigested protien (very bad for water quality) laid down as fat (very bad for carp health) or converted and used for energy (not bad, but a total waste of money). The trick is to find other ingredients with higher levels of the limiting amino that can be mixed with the fishmeal products and work out an inclusion level that brings the 1st limiting amino up closer to the carps requirements. The main amino I'm talking about does not occur at high levels in many bait ingredients, so it takes some finding, and quite surprisingly you find it in eggs!! A bait recipe high in marine fish products but containing no eggs is unlikely to provide all these essential aminos at the required levels, rendering a substancial percentage of the bait undigestable (not less attractive or less effective, both totally different things) than the same bait containing egg products. The best ingredient I've found so far to replace the missing amino percentage is not eggs but it gives such a distinct appearance to a bait that you can't hide the fact it has been included. In the average fishmeal bait recipe once you've balanced the 1st limiting amino (and I only know of a small percentage of commercial bait developers that do) you'll find the second limiting amino is also very short of the total you need. This puts us nearly back to square one in that a fair percentage of the bait is still of no benefficial use to the fish - you need to find another ingredient to replace the deficit and then move on to the 3rd limiting amino. I am going to guess that there are a minute percentage of the people designing and selling bait today that go to the trouble of looking for any limiting aminos, let alone the first 3! and it needs to be IN EVERY RECIPE THEY MAKE. I'll stick my neck out and say less than 5 bait designers today do so, but I'm happy to correct this statement if proved wrong - just email marcus@futurebaits.com listing the 1st 3 limiting aminos in a very basic simple fishmeal recipe and I'm happy to list you below. 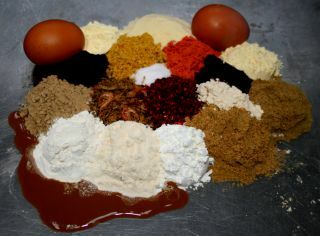 Let's use 40% LT94, 20% semolina, 10% soya, 15% whey protien concentrate, 10% yellow egg biscuit and 5% robin red concentrate. Liquid package of 25ml CSL & fresh eggs. Too easy for you, Mark 'slutty red led' McKenna, I know you are one of the very few !! What was the point of these few paragraghs - it was to make you question what you read in claims about bait - who is making the claims? what was their fishery science background or research ? email them, ask a few informed questions, you'll soon know if the statements are real or were just made up sat around a table because it looks good on the packet and in the adverts. Good bait catches lots of fish but is not going to be cheap, cheap bait is something you buy before you learn to look harder for good bait - only my opinion but worth thinking about. The camopops have been up my sleeve for a few seasons and are now launched. It's an understatement to say I'm over the moon with a front cover in the trade press. The camo's came about while trying to catch some quite wild fish that were living on naturals and would bolt from the area if a flouro or blatant hookbait was used. Natural food has evolved to hide, blend in or be a master of camouflage. This unique range of pop ups give out natural food signals while blending in with their surroundings. For the full story check the camopop page. To buy them please follow a link to the stockists page on the Cotswold site and pick your closest retailer. I've just got back from a short trip to Wildmoor Waters at South Cerney where I put to test the New camopops and PVA friendly products. I had three products to test and they all produced fish - topped off by a 30lb 4oz Mirror which fell in the middle of the day over a 5kg bed of bait. The 15mm swan mussel camopop was its downfall. Our newest employee followed Wayne into the swim and has just had his first fish from the 59 acre venue, two cracking fish of 25lb and 28lb - Our new Swan Mussel 15mm Camopops gave him both fish within 20 minutes of each other. 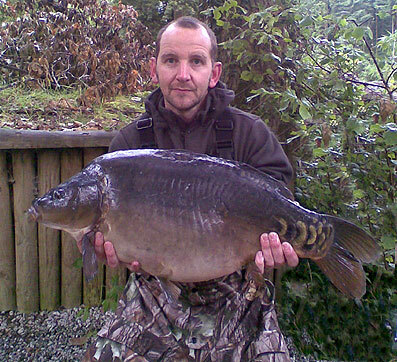 Chris is back on the bank at Goonabarn Syndicate and is back among the chunky ones very quickly. 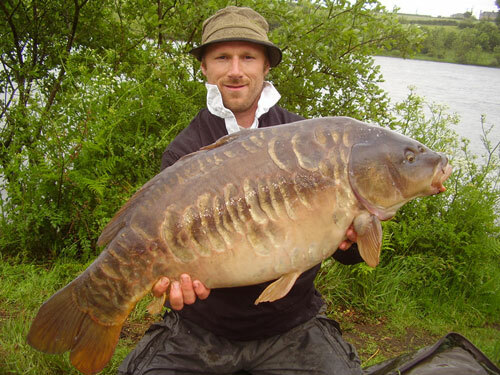 Using one of our freshwater mussel camopops he landed this fantastic UK personal best on a quick one night visit. 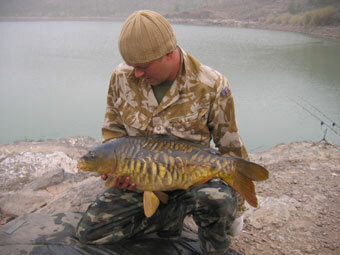 By baiting a hole in a weedbed very accurately with chopped future shellfish boilies the trap was set. Future baits user Johnathan Dodds fishes on Gran Canarier and has sent through some pictures of some lovely looking mirrors, these two go 31lb and 17lb, and they fell to a Firefly and a crab Dumbell.